I don't know about you but there is something ridiculously exciting about getting a new handbag! I take great pleasure in emptying my old one and lovingly filling my new pride and joy with my everyday essentials! If you love bags as much as I do and are looking for an easy wardrobe update for Spring Summer, then a new statement bag is the perfect buy! 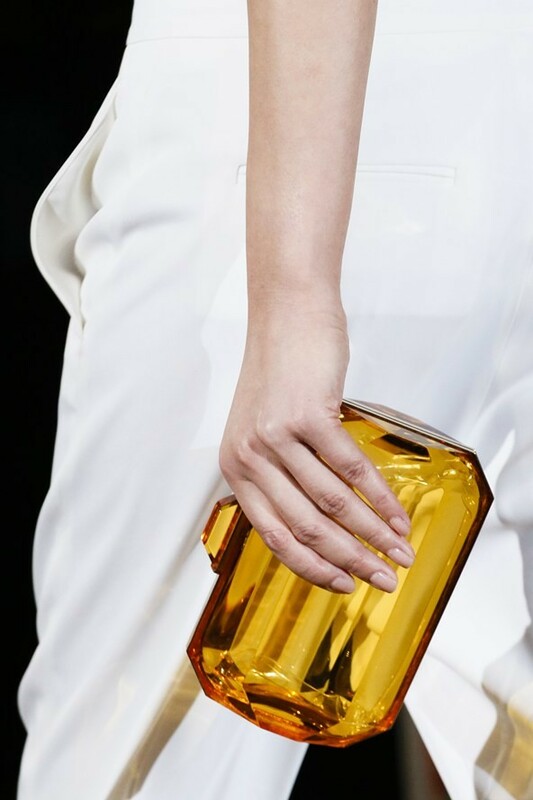 Influences from the catwalk have led to beautiful box clutches, soft messenger bags, perspex and bold floral designs - there really is something for everyone this season! Take a look at my fabulous High Street finds below, along with celebrity looks and Catwalk images. 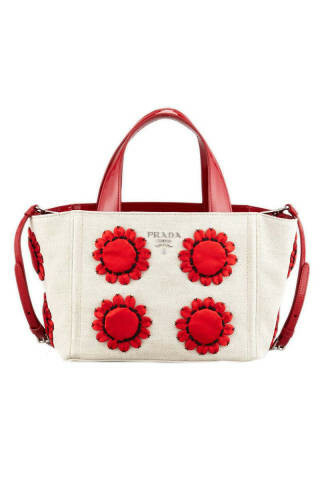 Her edgy, biker look is feminised with a floral embellished Prada bag - works a treat! Being the season of festivals, small practical bags are an absolute necessity! Chain link cross body bags are a perfect option for when you need to be hands free! Olivia Palermo gives her outift a more modern twist by adding a perspex clutch bag. A striking colour block everyday handbag with top handles and a detachable cross body strap. 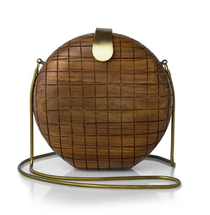 Love the contrasting texture of the side panelling which adds interest to the bag and it's great size too. 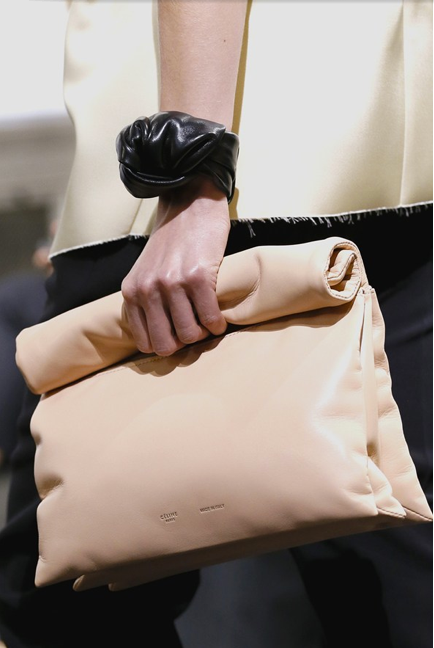 Channel Celine's latest bag design with this luxuriously soft version from Zara. With the roll top detail it adds a contemporary twist to a practical everyday handbag. 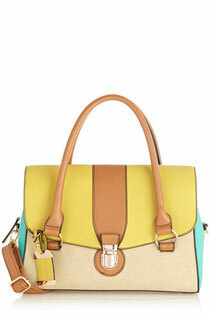 Freshen up your look for spring with this gorgeous colourful barrel lock bag. 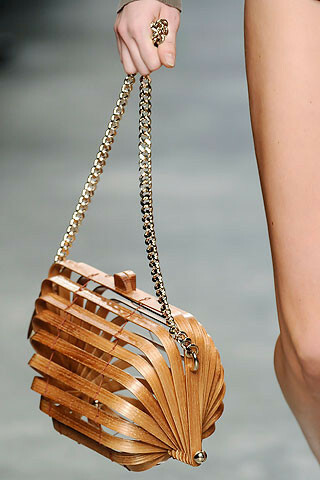 A huge bag trend for the season is the hard case box clutch bag and I love the wooden range French Connection have designed. Adding texture through accessories gives your outfit interest and this wooden clutch (with detachable chain strap) will look fab with pretty dresses and white cotton tops - giving your look a more contemporary edge. 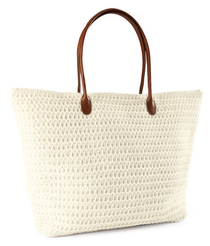 My favourite beach bag of the season - clean and simple with a gorgeous texture and contrasting tan handles. Do you treat yourself to a new bag each season? 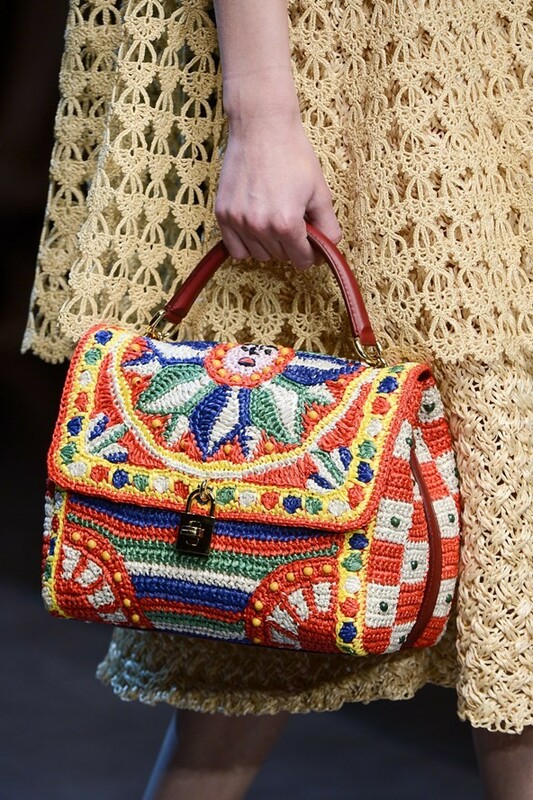 Which is your favourite bag trend for SS 2013? What do you think of the High Street finds above? I'd love to hear you comments!